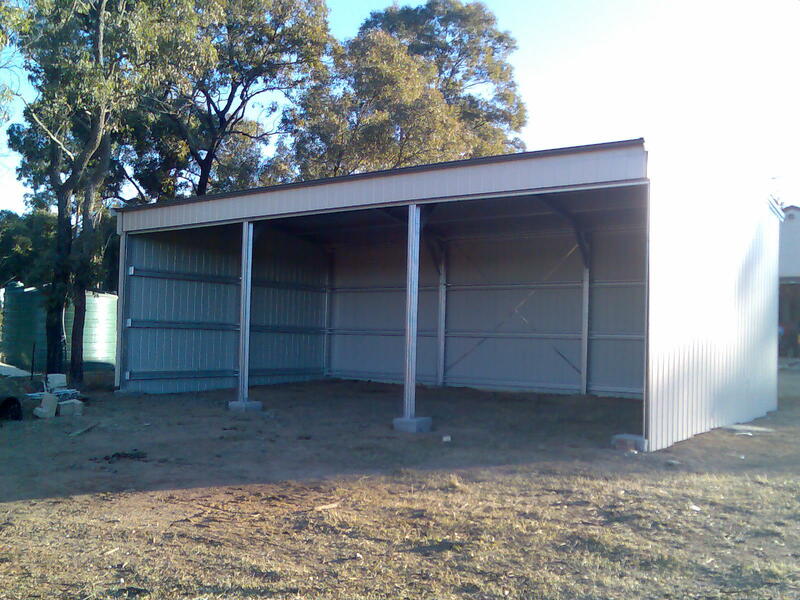 Cost Effective Steel Pole Barn, Hay Barns & Dutch Barns. Engineered in high-tensile steel, our lightweight Pole Barn, Hay Barn and Dutch Barns are a fusion of practical, low cost traditional building designs, modern materials, and cutting-edge manufacturing. When speed, convenience, assembly time and service life are factored in, our barn kits are much better value than even a home made telegraph pole barn, but our prefabricated barns can easily withstand even the most brutal storms, and are guaranteed to remain watertight and corrosion free for at least 40 years. Of course you don’t have to own a farm to enjoy the advantages of a steel barn building, and we can provide expert barn designs, customised for any purpose, and of any size. 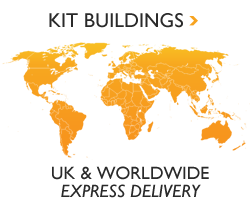 Popular options include: a fully enclosed end bay with garage/roller door for secure storage or parking; front garaport (gable overhang) for external storage; lean-tos; half height sheeting. Cost effective and easy to erect without lifting equipment, our steel framed barn buildings are available as DIY steel barn kits, or fully erected with a range of services to suit you. Our buildings are usually much less costly than timber frame barn kits, and provide a much wider choice of finishes and colours. Where the timber barn look is required, they can be over-clad in a range of finshes such as feather edged boarding or shiplap cladding. A Pole Barn or Dutch Barn can found on most farms and smallholdings throughout the UK, and usually takes the form of a large building with at least one open side, where its roof is supported by widely spaced columns. 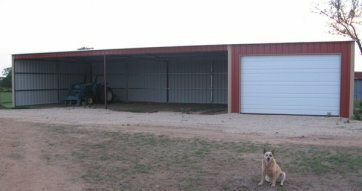 Thanks to its lack of sides or doors, this agricultural barn design provides a very low cost building, and allows unlimited access for virtually anything you can fit under the roof, from bales of hay or straw, to a tractor or horsebox. Although there are many types of agriculutural barns for sale today, many older farm barns in existence tend to be of brick construction with timber trusses and slate roofs. Very few examples of period timber barns survive today due to the durability of timber and our soggy climate. Today bricks and mortar are very expensive and not viable as a method of agricultural barn construction.